India is blessed with a varied and amazing list of travel attractions that has unique geographical features of their own and are popular among the travelers from across the world. If you travel from the North to the South and from West to the East of India, you will be able to see different travel destinations that have their own features and natural beauty. The travel destinations of India are well known for their natural beauty, resources and its unique culture and history. There are many beautiful and attractive travel destinations in India, which are safe and easy to visit and enjoy your vacation with family or friends. At the same time there are also beautiful yet offbeat travel destinations that are present in India and these places are really worth visiting if you have an inclination towards a bit of adventure activities. The off-beat destinations in India are marked for the natural beauty and at the same time for the scope of potential adventure activities. The offbeat travel destinations of India might not feel like a cake-walk for the regular travellers, but are gaining too much popularity in the recent years. Most of the travellers who are interested in adventure and offbeat travels prefer to visit the offbeat travel destinations in India and enjoy its natural beauty and available resource to its fullest. Here, let us have a look at 10 important and popular off-beat travel destinations of India that are worth visiting. Spiti is a part of Lahaul and Spiti district in Himachal Pradesh, and is situated in the high Indian Himalayan mountain ranges. 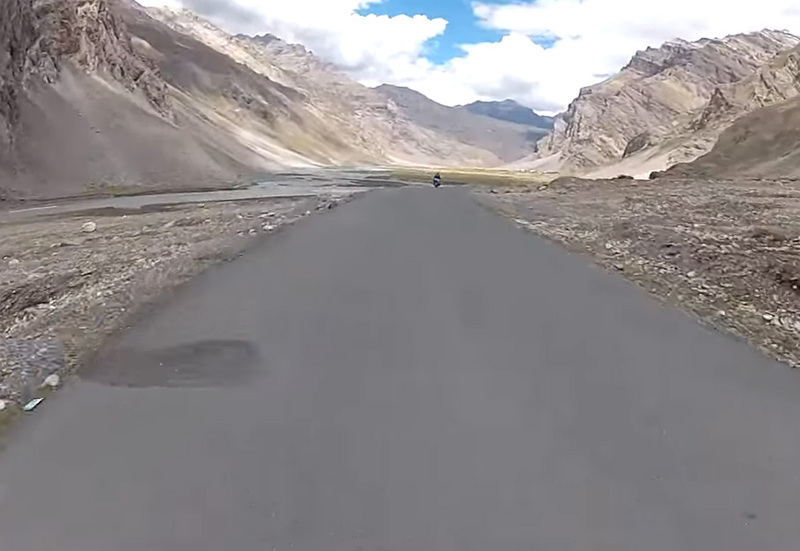 Due to the snow fall at the passes, the roads in Spiti are closed for almost 7 to 8 months in a year. For all its climatic conditions and landscape, Spiti can be considered as one of the best off beat travel destinations of India. Spiti is very much ideal for adventure activities such as trekking, mountain biking, rope-way riding, wildlife spotting etc. You will also be able to experience the unique village life in Spiti which is very much interesting from a traveler’s point of view. Also visit the Spiti Valley, which is a cold desert valley located in the high himalayan ranges. 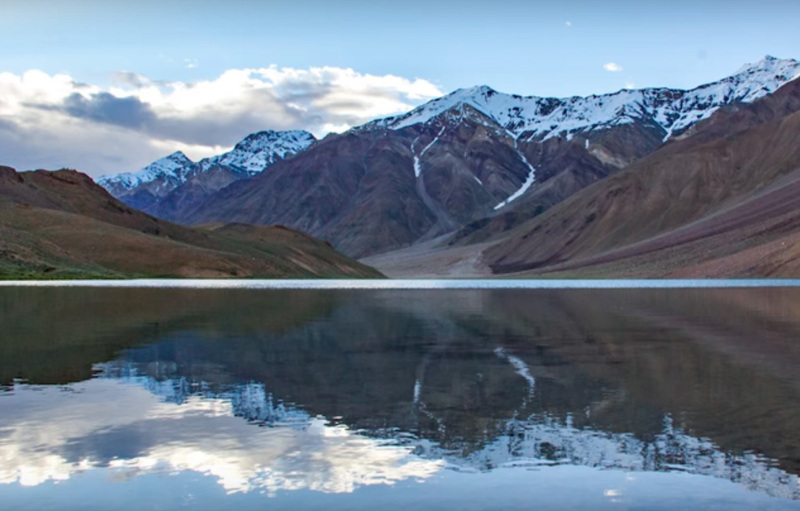 Some of the major offbeat places to visit in Spiti include Dhankar Lake, Langza, Chichum Mountain ropeway, Nako village, the caves of Tabo, Losar mani, Pin Valley etc. All these places provide different offbeat travel experiences in Spiti and you will always ever wish to come back again and again to this beautiful offbeat travel destination in India. Phugtal is one of the most remote places in Zanskar, a place in the Ladakh district of Jammu and Kashmir. 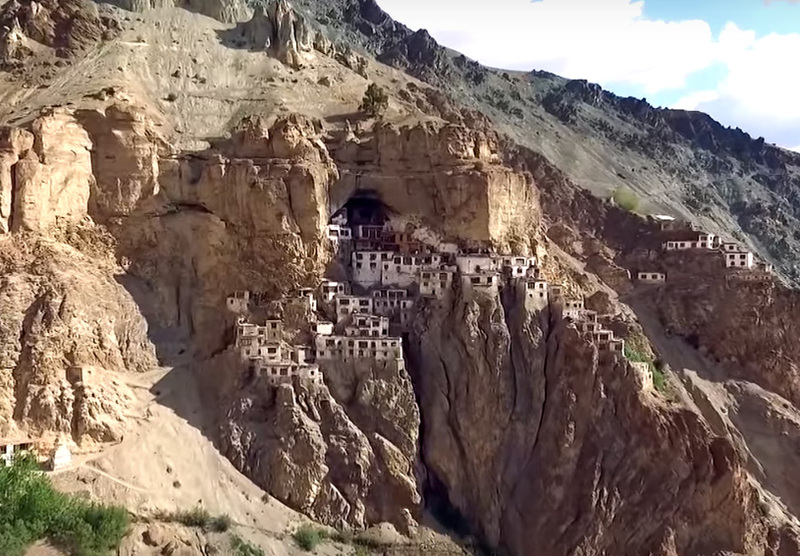 The Phugtal Monastery is yet another remote place in Zanskar and you need to walk atleast 5 – 7 hours to reach this monastery from the last road point in Phugtal. The Phugtal Monastery is the place for the monks who live in the high altitudes of the Himalayan mountains and completely detaches themselves from the outer world. The Phugtal Monastery is often visited by travelers who are interested in adventure activities as the path leading to the monastery is not a cake walk. The path leading to Pughtal Monastery is very much rough and you need a strong mind to trek through these path to reach the monastery. And this is one of the major reason, why the Pughtal Monastery and its surroundings are considered to be one of the favorite offbeat travel destinations in India. This places is not too much crowded and this is because most of the travellers do not have the heart to trek through the difficult conditions. If you are looking for a unique offbeat travel destination in India, then the Pughtal Monastery trip is highly recommended for you. Drass is an unexplored offbeat travel destinations in the Kargin District of Jammu and Kashmir. Drass is also known as the “The Gateway to Ladakh’. Drass is infact India’s Coldest Inhabited Place and also the second coldest inhabited place in the world behind Siberia. Drass has an extreme cold climatic condition which makes it difficult to get through this beautiful place. Drass also has a rough geographical features which makes it one of the best offbeat travel destination in India and these days it is becoming popular among travelers from across the world. Drass is a base for the Indian Military and become much famous after the historic Kargil war. Trekking is one of the best adventure activities in Drass and one of the popular trekking activities in Drass is the Suru Valley trek. You can also go for an adventure offroad biking activity if you are interested and adventure biking in Drass is also risky. Apart from adventure activities you can also visit places such as Mushkoh Valley, Minamarg, Drass War Memorial, Laser La, Manman Top etc which are highly recommended. Mawlynnong is a serene village in the East Khasi Hills district of Meghalaya in East India and is well known for its cleanliness and natural attractions. It is a less explored travel destination in Meghalaya and is also considered as an ideal offbeat travel destination. Mawlynnong was awarded the title of the cleanest Village in Asia by Discover India in 2003 and attracts travellers on the sheer basis of its cleanliness, natural beauty and offbeat geographical features. This beautiful place is still not crowded by the travelers and hence you can enjoy your trip in a calm manner. 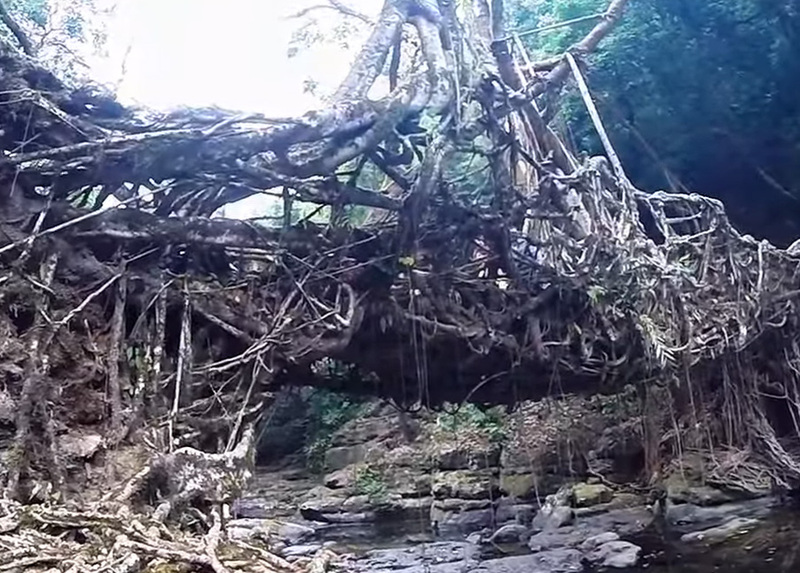 Due to its unique geographic features, Mawlynnong is considered as an ideal offbeat travel destination in Meghalaya. Mawlynnong is place which has huge potential for various adventure activities for the travelers. The waterfalls, villages, tree houses, the living root bridge, the balancing rock etc all are something that are worth visiting in Mawlynnong. If you are looking for an offbeat travel destination having an astonishing serene beauty and cool climatic condition, then you may consider Mawlynnong as a better option. Himachal Pradesh is one such state in India which has a number of offbeat travel destinations and Khajjiar in the Chamba District is considered as an ideal offbeat travel destination in India. This beautiful hill station in Himachal Pradesh has gained popularity as an amazing tourist destination for travelers from across the world. Khajjiar is surrounded by lush scenic greenery and thick forests, and this hill station is well known for its similarity with Switzerland. 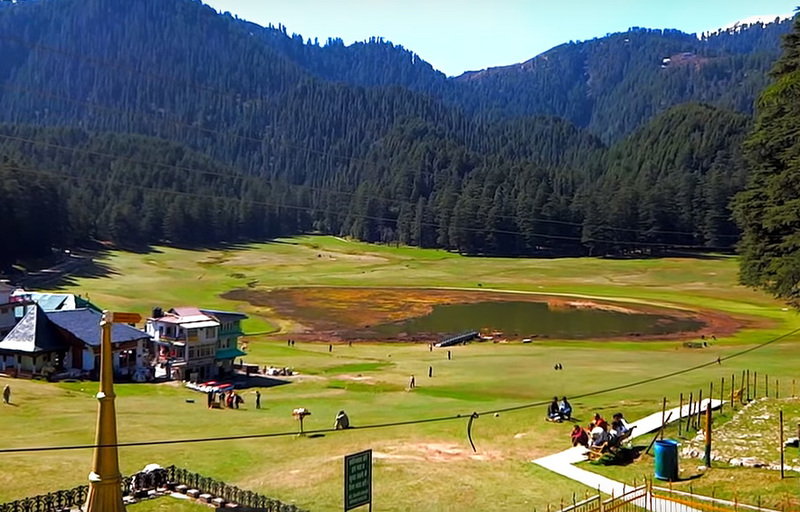 And for its similarities with Switzerland, Khajjiar is also known as the “Mini Switzerland”. Khajjiar is also popular for various adventure activities such as trekking, paragliding, horse riding and zorbing. The unique geographical features of Khajjiar makes it a perfect place for such adventure activities. Some of the must to visit travel attractions in Khajjiar include Kalatop Wildlife Sanctuary, Khajjiar Lake, Khajji Naga temple, Golden Devi Temple, Lord Shiva Statue, Tibetan Handicrafts center etc. 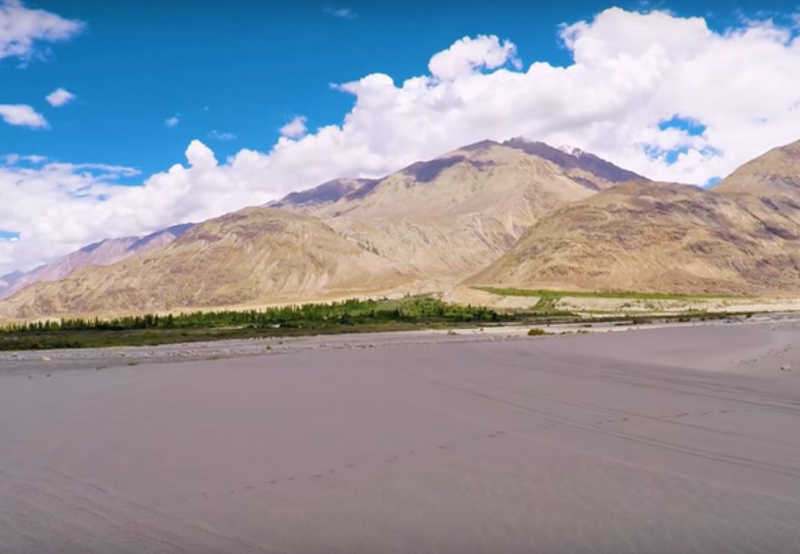 The tri-armed Nubra Valley is located to the north east of Ladakh valley in Jammu and Kashmir and is a high altitude cold desert inhabited by Nubra Skat speakers. You can also see sand dunes in Nubra Valley and it also have camels that helps in the transportation of people from one place to another. The Nubra Valley has a pleasant climate between the months of July to September and during this Autumn season the place will be suitable for travelers to visit and explore this high altitude desert. Nubra Valley has a geographical feature that is most suited for offbeat adventure activities and this place is also one of the most popular offbeat travel destinations of India. Some of the major adventure activities that you can be involved in Nubra valley include trekking, camping and camel safaris which will provide your some unique travel memories to cherish for. 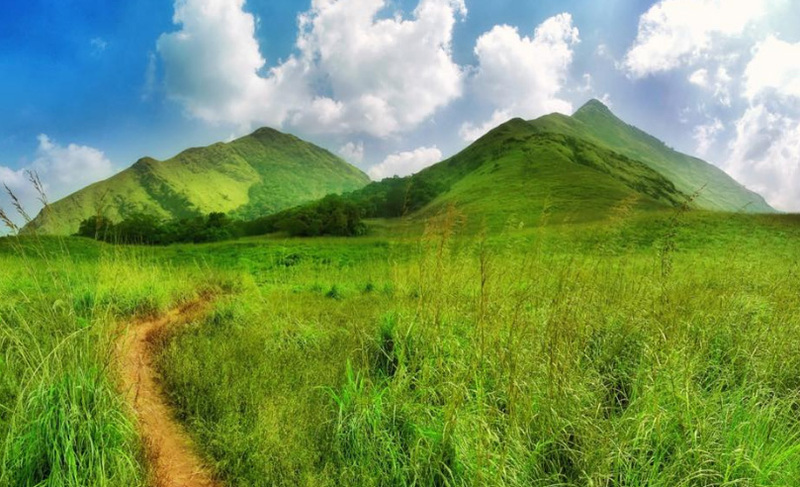 Chembra Peak is located in the Wayanad district of Kerala and is one of the highest peaks in the Western Ghats. Chembra Peak is situated at an altitude of 2,100 m (6,890 ft) above sea level. The Chembra Peak in Wayanad is a picturesque location that attracts travelers to enjoy its natural beauty and cool climatic conditions. Apart from its natural beauty and cool climatic conditions, the Chembra peak is also one of the best offbeat tour destinations in India and this is mainly due to its typical offbeat geographical features. Trekking is one of the popular adventure activity available at the Chembra peak. You can trek from the bottom of the Chembra Peak to the top which will take around 3 hours. On the way to the top of the Chembra Peak, you can also see a heart shaped lake, which does not dry up throughout the year. Once you reach the top of Chembra Peak, then you could see places such as Kozhikode, Malappuram and Niligiri districts. The sight from the top of the peak is so picturesque and you will be able to enjoy the amazing beauty of the nature that cannot be expressed in words. Ziro is a beautiful place in the State of Arunachal Pradesh in India and is also a cradle to a unique tribal group. 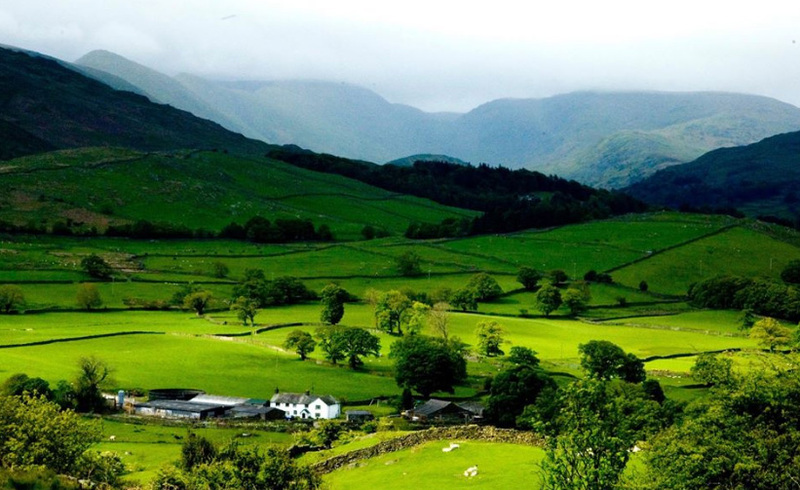 Ziro is famous for its pine hills and rice fields and is one of the peace filled travel destinations in India. The mild climatic conditions in Ziro makes this place suitable for travel throughout the year. The Ziro valley is fast becoming a popular tourist destination in Arunachal Pradesh and the natural beauty along with the sights of the paddy fields, unique villages, hills and forest add more to its tourism value. The typical geographical features of Ziro Valley makes it an ideal offbeat travel destination in India and travellers are seen engaged in various adventure activities once they come to this place. Some of the major adventure activities that you can enjoy in Ziro Valley includes cycling, trekking, rafting, angling etc. You could also visit and enjoy some of the major travel attractions in Ziro such as Talley Valley wildlife sanctuary, Meghna cave temple, Kile Pakho, Hapoli, Ziro Puto, Tipi Orhid Reseach center, Midey, Bamboo Grove, Dolo Mando, Dilopolyang Maniipolyang, Pine Grove, Tarin Fish Farm etc, when you visit this place. Patan is an ancient fortified city located on the banks of river Saraswati in Gujarat. Patan is one of the latest tourist hub in India and is still very much untouched by the crowd of travellers. The city of Patan has a lot of story to tell and has a great history bounded to it. It also has some of the best historic monuments and heritage sites that are worth visiting for the travellers. 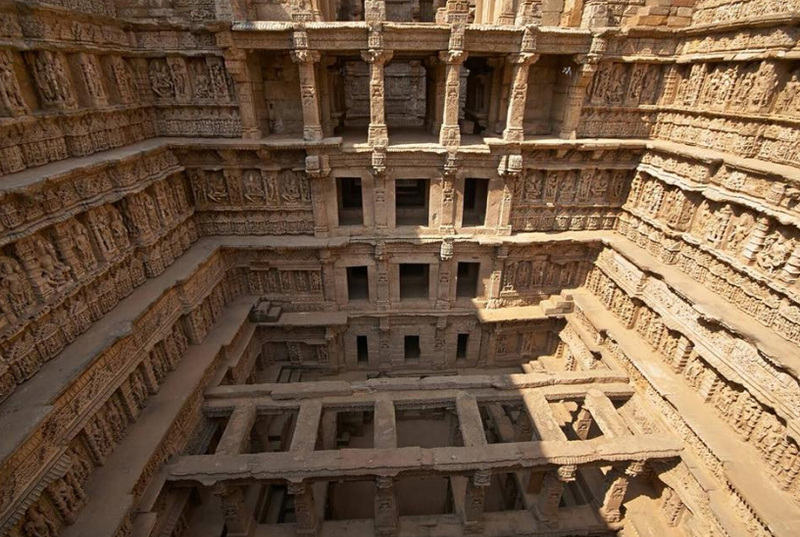 The city of Patan has a lot of buildings that have high archaeological importance and the sculpture of Rani ki vav is also included in the list of UNESCO World Heritage Sites. Patan is a less known offbeat travel destination in India and the presence of the village road that leads to Patan and which is more than 20 km, makes this place an ideal offbeat travel destination. The roads that leads to Patan are typical Indian roads that does not offer you a smooth drive, but you will surely enjoy the drive. Some of the major places to visit in Patan include Rani ki Vav, Mahavir Swami Derasar, Kalika Mata, Sidhwai Mata, Brahmakund, Hemachandra Gyan mandir, Sahastralinga Talav, Patola Saree making unit. The ancient city of Mandu in Madhya Pradesh is a fortress town on a rocky outcrop know for its amazing architecture. The city has a rich history behind it and is known for its marvelous structures, monuments, and palaces. The ‘the fort of Mandu’ attracts a large number of travellers to visit the ornamented palaces, bath, canals, pavilions etc. The unique geographical features of Mandu makes it another interesting offbeat travel destination in India and you will have a memorable time enjoying the offbeat nature of this untouched travel attraction in Madhya Pradesh. Apart from enjoying your offbeat vacation in Mandu, there are also many interested places to visit in Mandu such as the Baz Bahadur’s Palace, darwazas of Mandu, Rani Roopmati’s Pavilion, Jahaz Mehal, Hindola Temple, Jaami Mosque, Rock cut cave paintings etc. 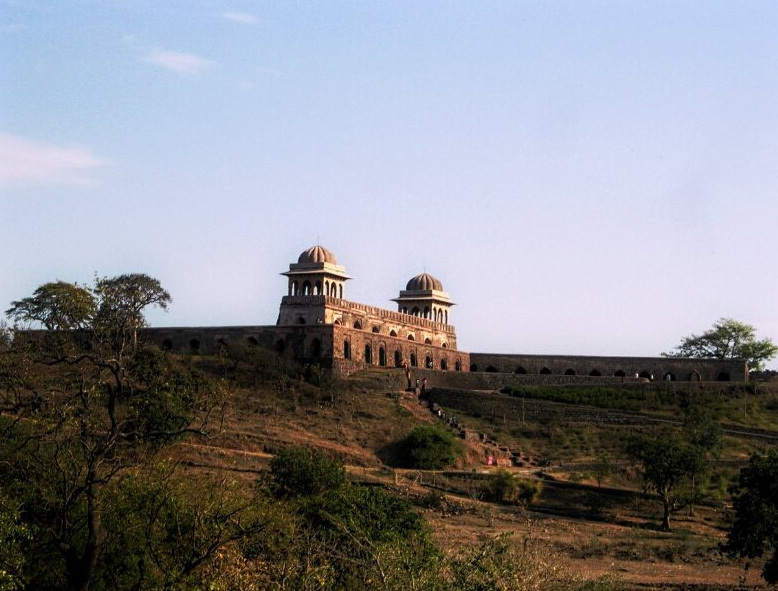 You could also enjoy shopping in Mandu and get a feel of the local handicrafts, decorative items and antiques of Mandu. Mandu is also less crowded with tourists and you will surely enjoy a great offbeat vacation for everlasting travel memories. Planning to Visit the Offbeat Travel Destinations in India? Then Book Your Trip Now! This entry was posted in Destinations and tagged off-beat travels india, offbeat travel destinations india, offbeat travel spots in india, offbeat vacation spots india. Bookmark the permalink.